It’s often in moments of sweet, simple stillness that the most beautiful things in the world flourish. An expectant mama’s reflective gaze at her belly. A baby’s sweet inquisitive inspection of a beloved toy. A soon-to-be sibling’s playful smirk. Mini-sessions in our sunlit studio are perfect for maternity or baby sessions. Phone consultation to plan your session and develop goals for your final product including prints, framing or heirloom artwork. 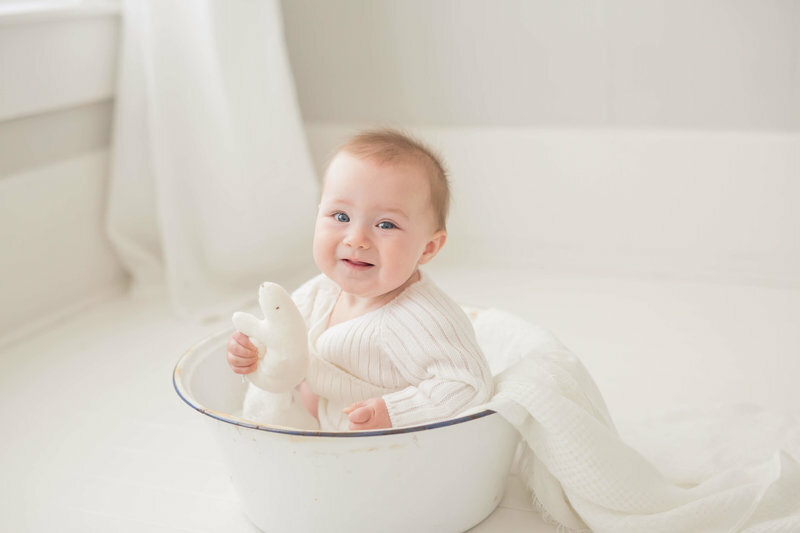 Fresh Light Photography offers Simplicity Sessions on weekdays only for babies three months or older, or expectant mothers. Leigh took the stress out of prepping for a session by providing wardrobe options, hosting an adorable studio with natural lighting, and utilizing her natural eye for variety in composition - perfect for capturing consistently beautiful images and allowing for a relaxing experience. Leigh is truly talented.